Perfect for home energy solutions! Old-fashioned fiberglass insulation doesn’t do a horrible job. Yet it has some downsides. Radiant heat still sneaks through. And so does cold air from your attic. It can penetrate fiberglass insulation and enter your home through a phenomenon known as Convective Looping. That sounds scary. Well, not really, but I still don’t think I want that happening in my attic. 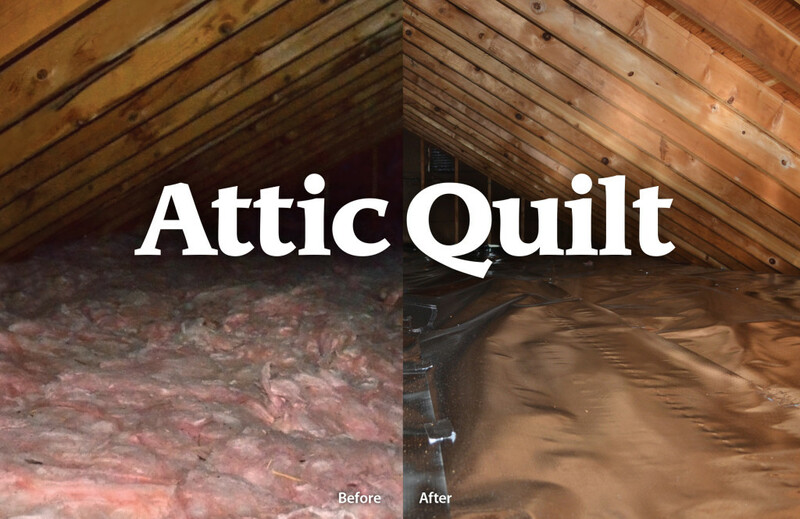 Attic Quilt acts as a radiant energy barrier when combined with traditional fiberglass insulation. It sends radiant heat back down into your home in the winter. It prevents hot air that’s cooking in your attic from permeating your ceiling during summer’s revenge.